Dr. Hubby & I have been embracing the “high fat low carb” lifestyle for quite some time now… but the kids? That’s another story. First, growing kiddos don’t need to limit their carb intake to the same extent that their parents do. The DO need to choose quality (low starch) carbs, however vs. all the refined sugar sources. One of the foods the kids rarely see anymore is bread… or sandwiches, unless we’ve substituted the bread with lettuce wraps and that sort of thing. If there’s ever bread, it’s traditional sourdough. However, they LOVE a good sandwich now and then. Shoot, so do I! What’s a health-seeking, longevity-promoting mom to do? Give the kids a sandwich for cryin’ out loud… but let’s do something completely different for the bread! 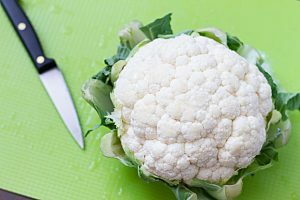 We’ve had a lot of fun playing around with cauliflower as a substitute for bread, flour, pizza crusts, rice, and “filler” for certain recipes for a long time. For some reason, I hadn’t made the kids THIS scrumptious ‘treat’ yet – the Cauliflower Grilled Cheese Sandwich. I paired this with a bowl of homemade chicken soup and a side salad on a cold winter day and it was perfect! 1. Cut cauliflower into florets. Process cauliflower florets in a food processor, Ninja dealio, or whatever you’ve got until the size & texture is similar to that of rice. I grated the cauliflower because I accidentally sold my food processor and no Ninjas currently live with me. 2. In a medium bowl, combine processed cauliflower, eggs, Parmesan and oregano. Mix until evenly combined then season with salt and pepper and anything else that tickles your fancy. 3. Heat a large nonstick skillet over medium heat. Add your heat-safe healthy oil/fat of choice (avocado or coconut oil are good choices for this temperature), then scoop the cauliflower mixture into a small patty on one side of the pan. Repeat to form a second patty on the other side. (These are your nifty little “bread” slices.) Press down on both pieces with a spatula and cook until golden underneath, about 5 minutes. Flip and cook until the other sides are golden, about 3 minutes more. 4. Top one cauliflower slice with cheese then place the other cauliflower slice on top. Cook until the cheese is melted, about 2 minutes more per side. Repeat with remaining ingredients. That all sounded confusing… but it’s like making a ‘traditional’ grilled cheese sandwich. No advanced degree in cookery is required! Do you like adding other things to your grilled cheese sandwich to snaz it up? Like bacon, tomato, a fried egg, avocado/guacamole, some meat, chili, spinach, arugula, artichokes, pesto, Brussels sprouts (I’m coming over!! ), etc. etc.?? Then go ahead and add them to THIS version, too! That’s it! 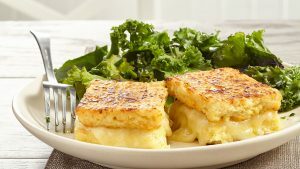 A fun, fairly quick, easy, and DELICIOUS spin on the traditional comfort food … the mighty grilled cheese sandwich! 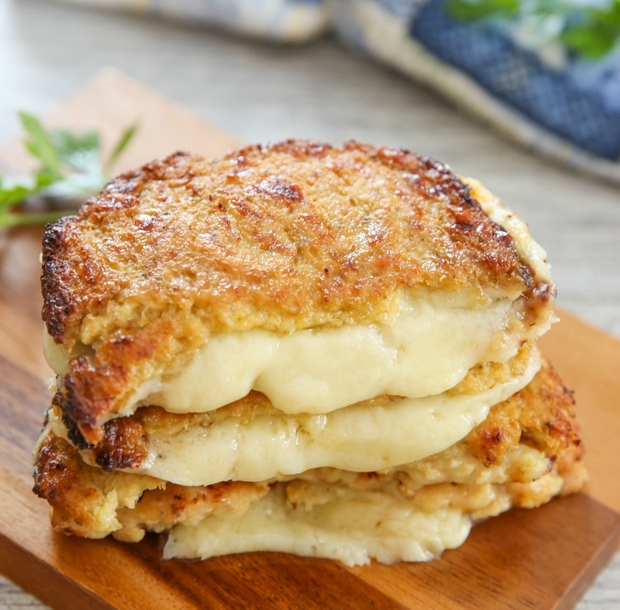 Have a favorite version of a classic grilled cheese you’d like to share? I’d love to hear it! Dr. Colleen Trombley-VanHoogstraat (“Dr Mom Online”) is a popular personality in Natural Health & Wellness and is in her 23rd year of active practice in Michigan, along with her husband, Dr. Marc VanHoogstraat. She’s also the proud mom of two rather fabulous kiddos that she currently home schools. Her unique perspective of the science of Wellness provides predictable solutions and transformational results for those struggling with chronic health issues, as well as those seeking lifelong health. To discover her simple strategies for creating better health through nutrition, movement, mindset, cellular detoxification, and metabolic re-setting, jump on board as a regular reader of Dr Mom Online when you plug in your email address above. COMING SOON: “The Better Body-Better Health Bull’s Eye”! Watch for it… you will definitely want this tool posted in your kitchen! Intelligent Exercise ~ It’s About Hormones, Not Calories! Does This Coffee Make Me Look Fat?